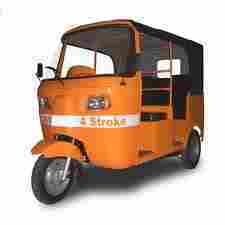 There are several financial institutions in Sri Lanka that provide financing for three wheelers. By choosing the best leasing partner, you can buy a brand new three wheeler. You can even get to buy a used three wheeler with an auto loan. Several auto financing companies offer three wheeler financing at affordable rates in Sri Lanka. In addition to the diesel engines, three wheelers are also available with CNG engines and LPG engines, which are considered to be environmentally friendly. Three wheeler maintenance can effectively increase their performance. You must follow the basic three wheeler maintenance tips in order to ensure proper functioning Of your asset. Regular checking the engine oil, removing dirt from the braking system and checking the level of brake fluids and proper check of the air pressure of the tires would certainly enhance the useful life of your earning machine. Your knowledge about the safety measurements is of paramount importance for the safety of the vehicle as well as the occupants. You should know in detail about all the rules and regulations of driving on the Sri Lankan roads to enjoy hassle free driving of a three wheeler. The following documents will be requested by your leasing provider. So better be prepared.